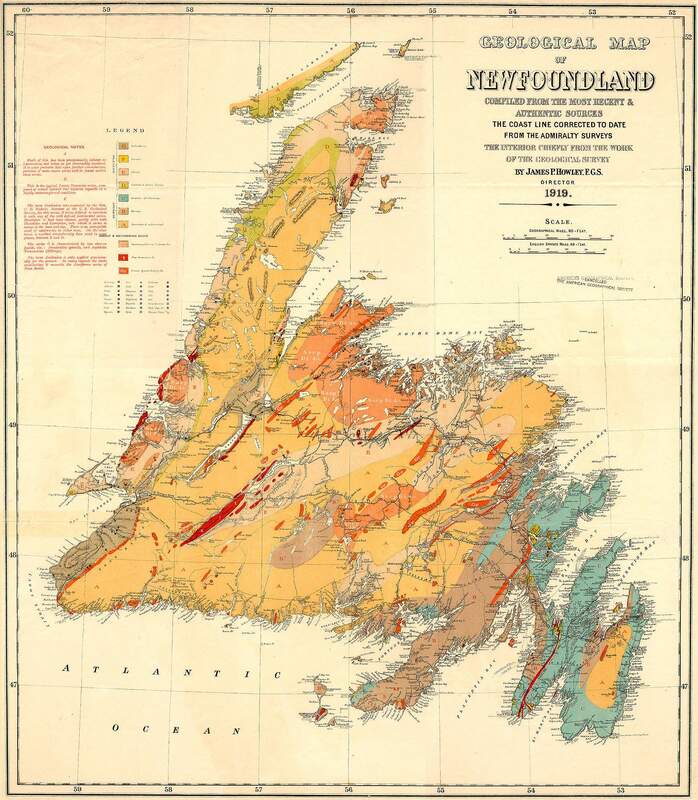 James Howley's 1919 geological map of Newfoundland. This larger version more clearly shows the geological features of the island, William Cormack's 1822 traverse, the 1875 railway survey, and the extent of the railroad and telegraph lines. Back to the smaller map version on the Exploring the Newfoundland Interior page.